ANGELS AT THE GATE is the story of Adira, destined to become Lot’s wife, the woman who “turned into a pillar of salt.” A daughter of Abram’s tribe, Adira is an impetuous young girl whose mother died in childbirth. Secretly raised as a boy in her father’s caravan and schooled in languages and the art of negotiation, Adira rejects the looming changes of womanhood that threaten her nomadic life and independence. 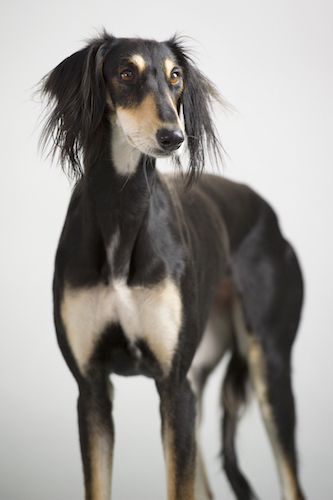 I am Nami, a saluki, bred for the desert and hunting. I’m a character in the book, Angels at the Gate. I’m Pugsly, bred for laps and loving. Angels at the Gate is my favorite book. But what happens to the dog? !